Many brands are working day and night to increase their brand identity as a strong brand identity can result in more customers and make one time customer into loyal supporters. This can be achieved by creating an emotional connection between customers and brand. In this article, I’ll therefore provide you with tips on how you can improve your brand identity with Instagram. What I mean by this is that you should focus on sharing content that have connection in one way or another. This helps you build your brand identity as people know what to expect from you. This has a lot to do with what message you would like to send and what you want people to associate your brand with. If we take a look at Coca-Cola’s Instagram feed, it is quite clear what color they want you as a viewer to associate their brand with. It also sends out a feeling of happiness when scrolling through their feed. If you want to succeed with improving your brand identity on Instagram. These are the kind of questions you have to consider and think about. Posting at consistent times on Instagram can help improve your brand identity. People should be able to expect when your posts are going live because in that way, people will start to go on to Instagram just to see your post. Your aim should be to create content that all have a feeling of connection. You should basically create and share content that people can immediately recognize and tell that it comes from your brand, even without your watermark on it. Succeeding with this can be quite difficult but if you do it correctly, you can improve your brand identity quite dramatically. Use the same filter on all your posts. Make it clear which color defines your brand. 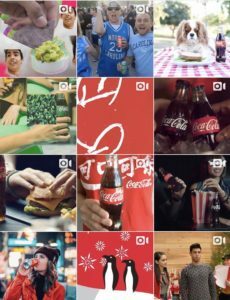 As you could see on Coca-Cola’s feed, it is very clear that the color red is dominant in their feed and using the same strategy can help you build your brand identity. 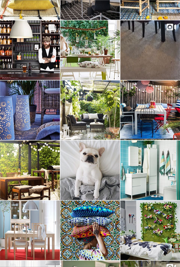 Ikea is a brand that have succeeded with creating an easy-recognizable feed. Instagram is not the only platform that you should focus on building your brand identity with. All platforms that your business is using should share similar content that can be recognized across the platforms. How are you using social media to build your brand identity? We’d love to hear about it!